Litter drones, Triple T & ‘Sprite’ game Apps, Autism Powerlinks, voice authentication…what do you want to know about, build, invent? Let’s explore & push the boundaries of science & Tech to help solve one of our global problems. Our team mottos? We like to be smart, Science is Cool, & What beats Nature? Nada! Rad Youth Radio - we got this down! International Music, Cool Interviews with global game changers, and new musicians we love…join in our global discovery! We are Global Scribes International Music & Broadcast radio now streaming on radio.co with AudioNow for phone call-ins in the US & UK. We are upping the game! Show off what you know about sports, share your video, photographs, game strategies, learn about global sports and even interview sports stars–coach or athlete or agent–on our monthly calls. Let’s get better together! Don’t you just love, we mean LOVE movies? We do! Each week our NEWS! (our Global Scribes newsletter) http://gsscribes.wixsite.com/writeandunite is recommending a selection of Hollywood, Bollywood and films from around the globe…action, adventure, musicals, fun, funny, romantic, thrillers, documentaries–you name it, we’re on it! And yes, YOU CAN name it! Send in your suggestions to the GS Shakespeare, Hollywood & Bollywood Team link: shakes.holly.bolly@gmail.com at gs@globalscribes.org Then, with popcorn (our favorite), drink of choice, relax, watch, then share YOUR comments and critique on our GS Movie Nights website! We’re checking out our global shares–see you at the movies! Embark on an adventure to launch, run & build our e-commerce Global Scribes Boutique. Together, we become seasoned entrepreneurs, ensuring our lift.off to blazing our own company launches will be far easier and more successful! One of us may just create the next Nike, Facebook, Twitter or Google–we’re in, feet first! Express yourself in ever more creative ways–A&I gives you freedom to convey a message you want to spread–pushing the boundaries of your creativity. Countless opportunities to use your talent, train your skills & spread the wealth of our global creativity! Do YOU like Photography? Ever dream of being Ansel Adams or Annie Griffith (first woman photographer for National Geographic) or Ellen von Unwerth Germany or Kai Z Feng China (top ten Fashion Photographers) this just might be the break-out chance you need! Learn, have fun and get exposure! We LOVE theatre & movies! We like to watch them (give us the popcorn! ), be in them (Broadway! Hollywood! Bollywood!) &/or create them (move over Shakespeare, Jolie & Pitt–Here we come! )–Drama, Musicals, Suspense–we eat it all up…LIGHTS, CAMERA, ACTION! STOP LITTER NOW! Care for your planet! Launching this Fall, the collaborative project for all Scribers. 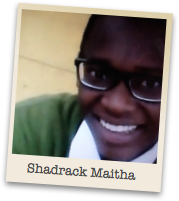 GS Green Entrepreneur is spearheading this campaign with GS Science & Nature & GS Tech. What creative ideas do YOU have? We are on for pushing boundaries to #cleanitup & break bad habits. Writers. Do you know all the different types of writers there are in the world? Explore all of these styles and discover your talents. We are writers. Creatives who love the documentary, the drama, the novel, short story–some of us love ad copy and captions. We like to take you on adventures across space and time, across foreign lands and places you thought only existed in your dreams. With words, we can make you sit, dance and even fly…we hold the power. You are a film & video virtuoso or maybe you just want to be! Ever wished to know HOW to make a film? 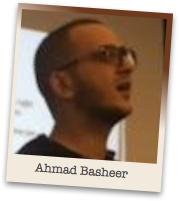 Help us create the tutorials for our GS Library. Or shoot your first film or 100th? Learn what works, why and how. We create. We DO. Join in and you can, too! Be the next Spielberg, Lucas, Tarrantino, Scorcese, Coppola, Woody, Ridley, Lynch, Cameron, Nolan…Chaplin or? Code is our global language. Apps, Games, Drones, Augmentation, Virtual Empires–we want to break to the next phase of ‘future’. MIT, Candy Crush, Minecraft, Angry Birds, Pokemon–Game on! We love FOOD. We love the taste, texture, design, business & just plain fun of food! From recipes, to global food journeys, restaurant interiors, decorating the table, chef apparel, cooking tools and meeting darn cool ‘foodie’ people–help us spice it up! LOVE bringing characters to life? Love creating the script to score the message? Cartoons, comics, animated film are your life and you want to own the medium–that’s our goal. To have fun and animate Globee Scribeson and his friends. Who is Globee? 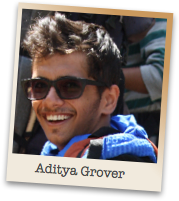 My name is Aditya Grover and I live in Delhi, India. My passion is to travel and make new friends. Currently, I listen to electronic music and I want to become a traveller. Global Scribes helped me gain my courage to interact on an international platform, so, now I am one of the leaders in our GSIM radio station. International music and broadcast journalism representing our global Global Scribes! 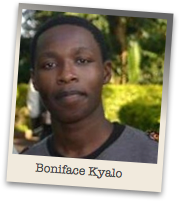 My name is Boniface Kyalo. I am 18 years old. I live in Nairobi, Kenya. I love jazz and fancy classic cars. I consider myself to be a creative who never misses opportunities. I am the leader of the GS Entrepreneurship team. I have gained a lot from Global Scribes already! I have interacted with a lot of people from different parts of the world exposing me to different cultures. I am an entrepreneur. And, my role with GS is helping me gain more relevant skills, inline with my dream career, which will bring me great future success. Hello there! 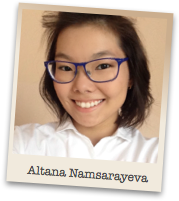 My name is Altana Namsarayeva, I'm 16 years old and I'm from Russia. I study in Linguistic Gymnasium #3 in Ulan Ude. I'm interested in fine arts, illustration, graphic design and foreign languages so I'm here at Global Scribes! I speak Russian, English, German and a little bit of Chinese. In my future life I see myself as a successful coder or a specialist in international affairs (now you can see the variety of my interests, hahaha! ), I really enjoy everything I do in GS from interacting with people from other countries, sharing each other's experience to bringing out big projects in real life. I'm looking forward to working with GS further to see our other fabulous results. 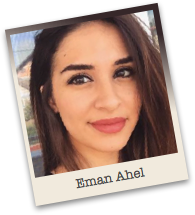 Eman Ahel is the Team co-leader for GS Art & Illustration. She is born and raised in Croatia, where she finished her earlier studies. 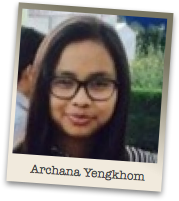 Is currently in her senior year at American University of Madaba in Jordan, where she studies Graphic Design. She is passionate about design and anything that can push her creativity limits, especially if it can be beneficial, not only to her, but also to people around her. Hamish is 11 years old and lives in Australia. 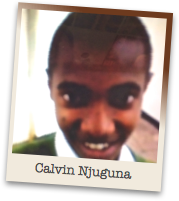 He is in Year 6 at school and designs apps to make the world a better place. His most popular apps are called LitterbugSmash and ASD & Me. 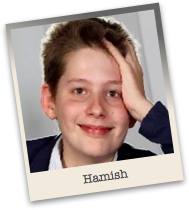 In his spare time Hamish plays the guitar and likes to spend time with his dog. 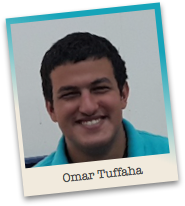 Since joining Global Scribes, as a part of the Blue Oceans Film team he has collaborated on the “Ocean Eyes” video and also worked on the Global Scribes Science & Nature and Tech teams. 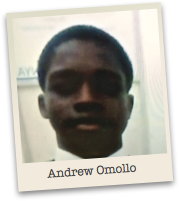 He's busy leading the Science & Nature Autism Project, and also working with the Green Entrepreneur team on the Stop Litter Now! campaign. 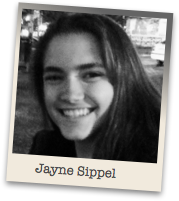 Jayne Sippel is a Team Leader for GS Sports. She is in her third year at Convent of the Sacred Heart in New York City. She plays soccer, lacrosse and swims. Her favorite sport is lacrosse but she also likes to try new sports as often as possible. When she is not playing sports, she enjoys spending time with her family and friends, trying all the different things that New York City has to offer. I am 18 years old. I like traveling, listening to music.watching movies and drawing. 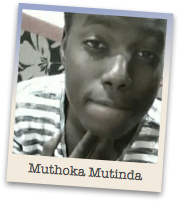 I am in form four at Alliance High School. I am a co-leader of the GS Art & Illustration & Animation Team! 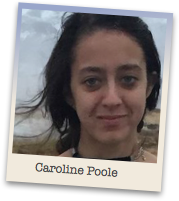 Caroline Poole is a co-leader of our GS: Film, Video, and Youtube Team. Caroline is in her junior year as a film student at the illustrious New York University Film School. With an adventurous spirit, combined with a passion for film, Caroline is always looking for a story to tell. When not working on a documentary or narrative film, or exploring New York, she spends her time drawing and writing poetry.! Erin Hunton is the Team Leader for GS Scribes and the Managing Editor of NEWS!. 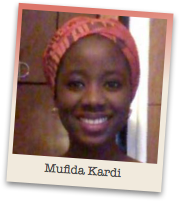 She is currently in her final year at Arcadia University, where she studies International Studies. A passionate traveler, she has studied abroad in both England and South Africa. 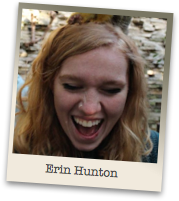 Erin believes that adventure inspires creativity and has used her experiences abroad to further her creative writing. When she isn’t writing or exploring, you can find her with her nose in a book or a cup of coffee in hand. 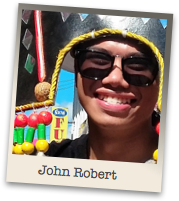 I am John Robert Guillergan and I am a co-leader for GS Scribes. I am from Iloilo City, Philippines. I am a 4 th – year student nurse in West Visayas State University – College of Nursing. 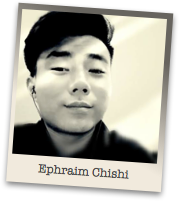 I am also the Editor-in-chief of the college publication known as The Lifeline. I am curious! I love to learn new things and rediscover old ones. Poetry is life and I have been writing since 4 th grade. I love my country from its rich history, festivals and food of course! I live by the words “Work it hard. Make it worth”. I am 17 years old. I love food, house music, architecture, nature and dogs. 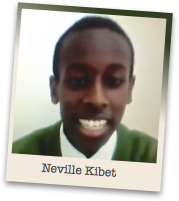 I study at Alliance High School in Kenya. I believe that making a difference in society doesn't have to be boring. I am a co-leader of GS-IM and Film. 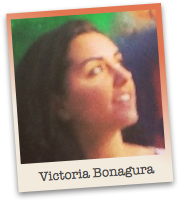 Victoria Bonagura is a Mathematics/French and Francophone Studies double major at Davidson College in Davidson, NC. Hailing from an Italian-American household in New York, she relays her passion for food through her work with the GS: Bon Appetit Team. Victoria has friends from a variety of international backgrounds and hopes to gain a more global perspective through cultural exploration with Global Scribes. Currently residing in Charlotte, North Carolina, Victoria enjoys playing tennis, collecting records, attending concerts, and road tripping. 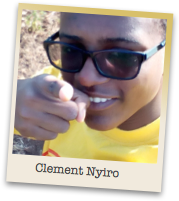 I am Clement Nyiro. 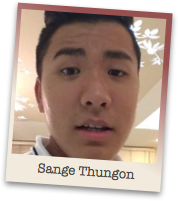 I am 16 years old, a fanatic lover of technology, of traveling and meeting people. Football for life. Tennis is a hobby and I’m THRILLED to be a co-leader of GS Tech Team! 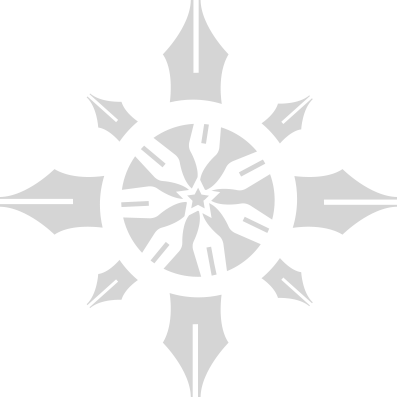 I’m excited to begin developing our Apps and the Game. 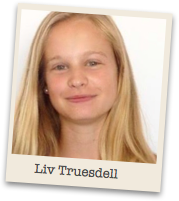 My name is Liv Truesdell, and I'm a co-leader of the Global Scribes Sports Team. Ever since I was little, athletics have always been a big part of my life. From kicking a soccer ball with my older brothers, to running track, to playing lacrosse, I've learned the importance of dedication, leadership, and hard work. Above all, sports have taught me the importance of dreams. Once I set a goal, I don't stop working until I've accomplished it. I know that I can do anything, and if something holds me back, I know that I have to just work harder. There's never an easy way to reach the highest goal - I've got to continue to push myself even when no one else believes I can do it, and most importantly, continue to work at improving when no one is watching. Coming from New York City, a constantly busy place, I've learned to use sports to relax and escape my everyday life. I hope to share my love of sports with you. 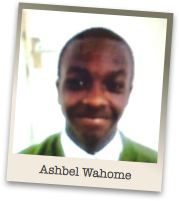 Ashbel Wahome. I am 16 years old. I am Kenyan. I like traveling and reading novels. I am so excited to be a co-Leader of GS Science and Nature Team & digging in to our Moonshot Project to help Hamish’s Austism Project & launching our STOP LITTER NOW! Project with our GS Green Entrepreneur Team! 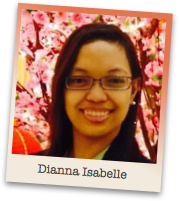 Dianna Isabelle Desuyo is a Team Leader of GS Science and Nature. 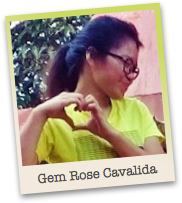 She is currently an Engineering student at the University of the Philippines-Diliman. 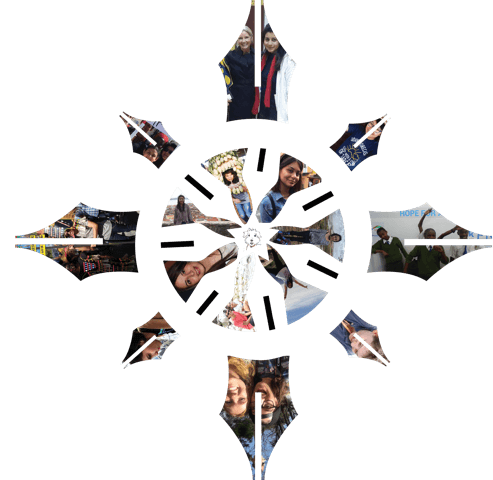 Dianna is the incumbent President of the Rotaract Club of San Francisco Del Monte Malaya Achievers, a service-oriented organization based in Quezon City, Philippines. Aside from being a scientist in the making, she is also a Potterhead, a bookworm and an adventure lover. 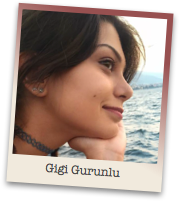 Gigi Gürünlü is the Team Leader for GS Social Media. And, the Youth Coordinator for the country of Turkey. She is currently a junior in İzmir Atatürk High School. She is a big animal lover and a traveler. She is also fond of painting and photography. Other than visual arts, she interests in all kinds of art and finds nature very inspiring. 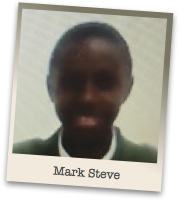 My name is Mark Steve. I am 15 years old. I live in Nairobi, Kenya. I love old school music and traveling. My passions are banking and accounting but socializing is my favorite thing to do. I do art during my slow moments and gain a lot of appreciation from peers which boosts my self-esteem. I am the leader for GS Bon Appetit. I have gained a lot already from Global Scribes and hope for more as my social side of me is gaining too. 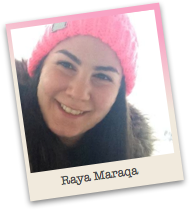 Raya Maraqa is the leader for the Tech team and a co-leader for Social Media team. Raya will start her first year at the Princess Sumaya University of Technology as a computer science student this semester and she is currently on an internship as a designer/web designer at Joos.co . Raya is a tech geek yet a fashion-a-holic.